With Nintendo unveiling its next-generation "Wii U" console during E3 this year, it seems reasonable that Microsoft and Sony are preparing their counterassault. We've seen scatter rumors about the third-generation Xbox being unveiled at next year's E3, while fresh reports indicate that Sony is already preparing to mass produce the next iteration of its PlayStation console. Citing unnamed Taiwanese component manufacturers, DigiTimes reports that production of the PlayStation 4 will begin at the end of 2011. Foxconn and Pegatron have been contracted for assembly of the PS4 (both are also involved in PS3 assembly). Assuming everything goes as planned, Sony expects to launch the PS4 in 2012, shipping "at least" 20 million units during the year. On the surface, this seems to contradict Sony's satements about the PS3's lifecycle, repeatedly claiming that the device will remain relevant for ten years. However, there's no reason the company couldn't launch its PS4 while continuing to sell the PS3. 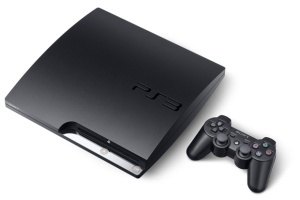 PS2 sales were strong after the PS3's arrival, shipping 150m units as of January 31, 2011 -- up from 100m on November 29, 2005). "We launched a device that is very, very powerful, that has a whole range of possibilities and that's at the very least a ten-year lifecycle. I know I'm guilty of repeating myself but I think it's always worth pointing out we're still selling PlayStation 2 in its millions around the world, 11 years after it was launched," SCE Europe boss Andrew House told CVG after E3 last month. Meanwhile, Jack Tretton, president and CEO of SCE America, said Sony isn't threatened by Nintendo's Wii U because it's just playing catch-up. "PlayStation 3 is really just hitting its stride. And technologically, I don't think it's possible to provide any advancement beyond what we have…What we've seen from the competition is trying to add features that already exist in PlayStation 3." "We invested heavily in that, we rolled a very heavy rock up a steep hill, through the launch period. But now I think that all pays off, and we’ve got a long run way behind it. So, I wouldn't look for any discussion of a next generation PlayStation for quite some time," Tretton continued. Is Sony just playing coy for the maximum shock factor, or is the PS4 really five years away?